A search result audit is part of any reputation management plan, and can make your business better by revealing the strengths and weaknesses of your online brand as seen by your prospective customers. Warning: sometimes it can be a little scary. Search results can be an excellent tool for marketing, research, and development. But their utility goes far beyond into the realm of human intent, understanding, decisions and actions. Every page of search results tells you a story about your customer and what they’re really looking for. The trick is in seeing the intent behind the search results. Before you audit your SERPs (search engine results pages) you'll need to know which search terms you are auditing for. It isn't just your brand name. Here is a quick guide to finding your best search phrases. With a handful of the most important key phrases (search phrases) for your brand, do a side-by-side search comparison. A side-by-side comparison gives you visibility into how your search results compare with your rivals. If your computer display is large enough it’s helpful to open up two browser windows side-by-side. Perform a search for your brand in one window, and perform one for your competitor in the other. Compare the two. What do you see? Does your competitor have better looking search results than your company? What Does the Prospective Customer See? 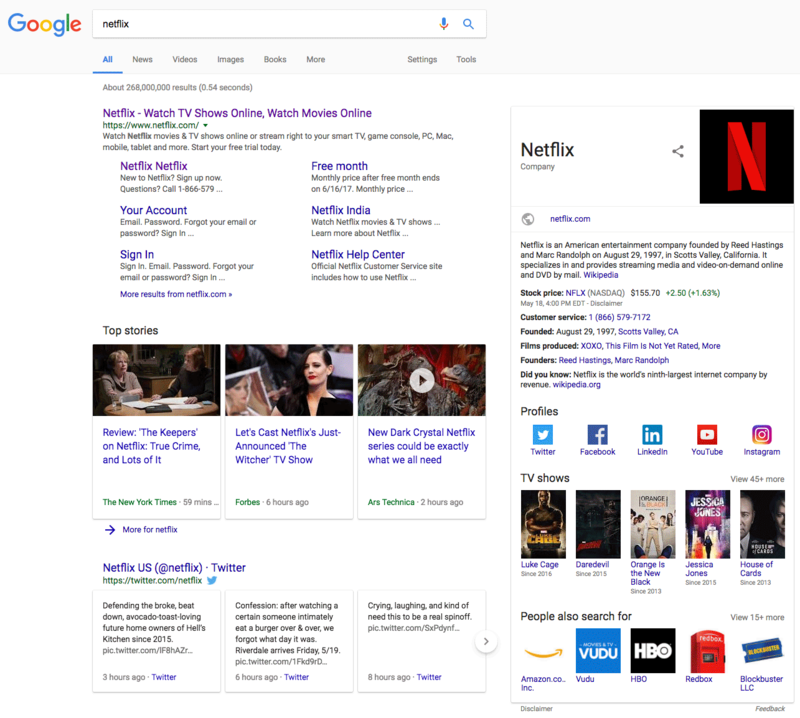 Ask yourself: if you were a consumer and these search results were the only thing guiding your decision, which company would you rather do business with? In the example below, Mediacom (pictured left) appears less strong than CenturyLink (on the right). The top results for the branded search “Mediacom” reveal the company in the top paid and organic spots. However, there are no links to social media pages, and there are a number of poor reviews displayed on the right. By contrast, CenturyLink also appears in the top results, but has no visible poor reviews — and it has a tidy set of social media icons on the Google Knowledge Graph to the right. If you owned Mediacom, you could borrow ideas from the CenturyLink results to improve your reputation. When you look at the search results of your brand or those of your competitor, you’ll notice that there are many different types of content returned. This is due to something called “universal search.” Universal search provides users with a variety of media in their search results, which could include video, images, statistics, blog posts and more. This is designed to give the person searching choice, but you can use this same diverse media to create a strong image that’s spread across many channels. This will allow you to reach new potential customers and give the impression that you’re a powerful and connected entity. As you can see, the results contain a variety of media options. Universal search the default mode of Google. It's a great tool for your reputation management campaign since it allows you to see many types of media ideas that you can use to influence your customers’ opinions when they search for your brand. Obviously. Every consumer wants to buy the best product they can get, and research has shown that they decide which product is the best primarily by using online reviews that reflect the opinions of strangers. According to a recent Zendesk survey, The Impact of Customer Service on Customer Lifetime Value, 90 percent of survey respondents said their buying decisions were affected by online reviews. That means that on the web, every whisper about your product counts. If you think that one of your customers may be having a less than optimal experience, it’s almost always worth addressing as quickly as possible. 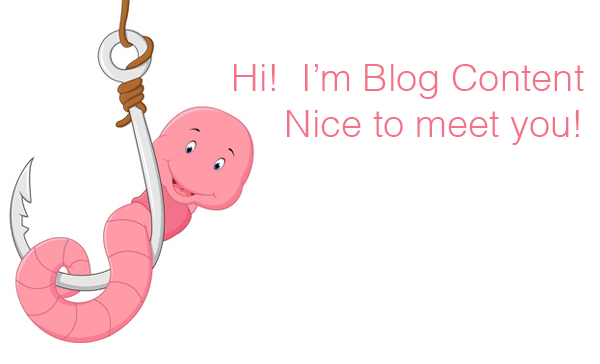 Keeping your reviews squeaky clean is a big part of internet reputation management, because your conversion rate suffers when there’s anything online hinting that your company isn’t the best. According to a 2015 reputation management study by Moz, businesses risk losing up to 22 percent of prospective customers when there’s even one negative article in search results. Furthermore, “a one-star increase in a Yelp rating leads to a 5-9 percent increase in revenue,” states a 2016 Harvard Business Review study by Michael Luca. If your competitor has a four-star Yelp rating, you should work towards a five-star Yelp rating. If your competitor has an excellent Glassdoor rating, your should strive to make yours better. During this journey, the buyer is comparing your company to others. Which is the best TV? Which doctor has the best healthgrades ratings? Etc. Winning the comparison portion of the buyer’s journey can greatly increase your conversions, and therefore your revenues. 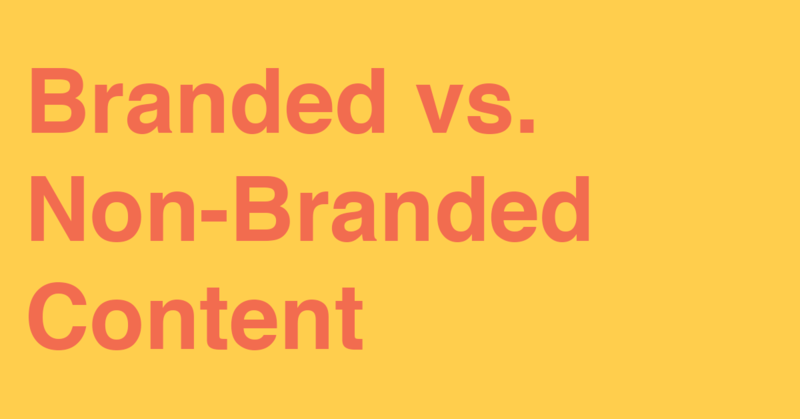 Brands can win the comparison game by crafting search results page to outshine those of competitors, and often must be carried out with an extreme level of care. 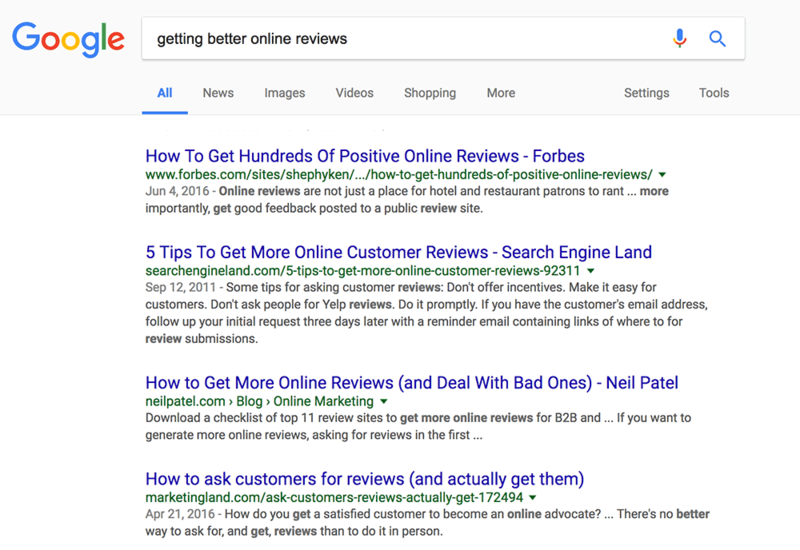 As of the time that this was written, the SERP gives links to articles on how to get more reviews, how to influence customers to write reviews of your business, and companies that provide these services. Notice how these results aren’t all directly about getting better reviews, but about getting more reviews. 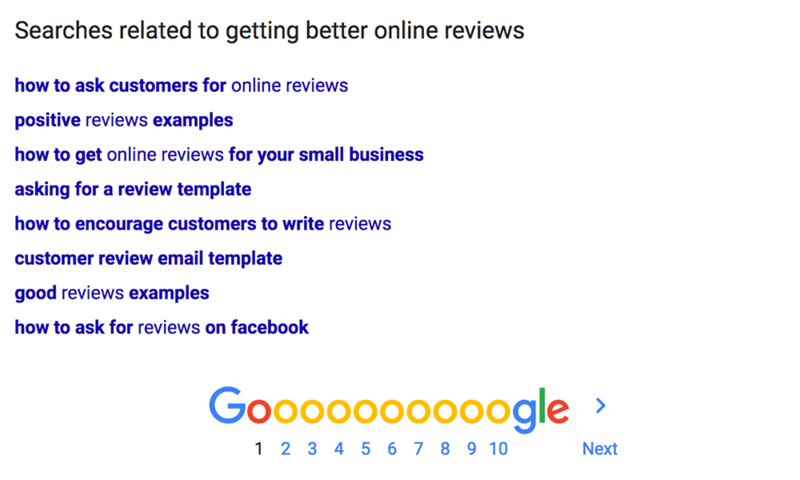 It appears that people who want better reviews for their business are searching for these related topics as well. Search engine results pages help you understand what your prospect wants to know about. Your job is to meet this need by creating branded search results that tell a story similar to, but better than, what the online world is already talking about (with your own unique twist on it, of course! ).